Businesses are always at risk. Catastrophes are just lurking around the corner so it helps to be prepared. While lawsuits can be avoided, it still makes sense to be able to cover for them. A single mistake can bring down everything you’ve worked for but you can protect your company with business insurance designed to address common issues. You may know this as professional liability insurance and although you may think it’s only for high-risk ventures, any kind of business needs to have it. This keeps you covered in the event that you, any of your employees, or any of your products or services causes someone harm. Mistakes happen and as such, you need to make sure that your assets are protected to ensure a future for your business. While personal liability insurance is necessary, what gets covered varies depending on the industry you belong to. In other words, policies need to be customised in order to address specific concerns. Although you may have started out doing business from your own home and handling everything, sooner or later you’d want to hire people to help you out. When you have employees, it’s important to add this coverage into your policy. This kind of insurance takes care of medical treatment as well as disability and death benefits should anything happen to your workers while doing their job. Again, you may think that this kind of insurance is only for those whose business involves a certain amount of risk, accidents can happen even in spaces considered low risk. An employee can slip and fall if someone accidently spilled liquid and didn’t do anything about it. Having this kind of insurance can cover for the injured worker’s treatment. This kind of coverage is necessary whether you own or rent the space you operate in. Catastrophes can befall business spaces at any time. Heavy raining can cause flooding that can lead to the destruction of equipment. A fire can accidentally start and destroy your building. Recovery may take a while but having this kind of insurance in place can help replace what was lost. The importance of property insurance cannot be stressed enough. For example, it’s important to get coverage if you run a condominium complex. You can lay down rules all you want but what you cannot control are accidents. This is why it’s important to secure master condo insurance to ensure that any damage that happens to common areas – entryways, walkways, and exterior features – can get fixed as soon as possible. After all, clients who chose a unit from your complex also expect you to maintain certain standards. Whether you use a vehicle for delivery services or as a service vehicle, it’s important that it be fully insured. 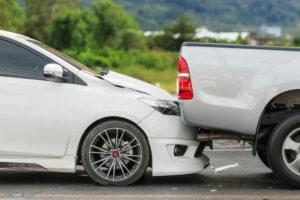 After all, accidents are common on the road and it helps to have insurance to cover any associated costs. You can, at the very least, get insured against third-party injury. But if you have the budget for it, don’t hesitate to go for a comprehensive insurance. It doesn’t matter if your product is labelled to be safe, freak accidents have occurred in this world and it’s best to be prepared for it. A lawsuit brought against your company can seriously dent its finances. As such, it makes sense to prepare for it in advance, especially if you’re in the business of making consumer products. No one going into business wants to get sued for products they made. This is why there are certain safety standards are put in place and tests conducted before items are shipped out. However, accidents do occur despite assurances of a product’s safety. Product liability insurance can be tailored to cover for the damages caused by a particular kind of product. On top of the five mentioned above, you should also think about getting business interruption insurance since disasters can strike at any time. A simple look at the news for coverage of catastrophic events show how much damage it can cause to businesses. No longer being able to sell products from a physical store or create products at a facility results in income loss. However, your losses you incurred when disaster struck can be compensated by having this kind of insurance. When you’re starting out a business, always think about risks. Consider everything your venture does and which areas it can do harm. This exercise helps you determine the kind of business insurance to get. The last thing you want is for your business to fail, and one of the ways to guarantee that doesn’t happen is to have the necessary coverage to protect against errors and disasters.